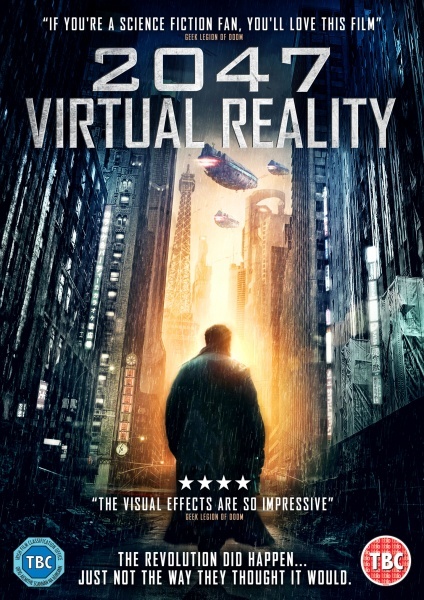 This action packed Blade Runner inspired Sci Fi indie jewel is set in Paris in the year 2047. 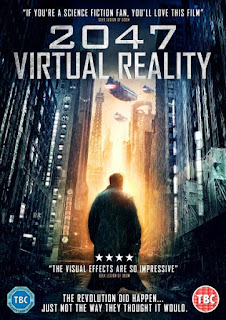 The majority of the world’s population are languishing inside their homes addicted to vast virtual reality games called “verses” on a permanent basis. Those living online are called “connected” but a few people still remain in the real world only spending half their time online, calling themselves “Hybrids”. Nash (Mike Dopud- The Strain/Arrow) is one of these, hired by one of the multinational corporations as an undercover agent/assassin to investigate a terrorist gang thought to be involved in a plot resulting in the deaths of hundreds of the connected community whilst they are immersed in their games. It’s not just the big companies investigating the attacks, Interpol are also trying to get to the bottom of this but are these terrorists responsible for these deaths or is it the corporations? Are these deaths part of a bigger issue and is this wiping people out for the hell of it or are the terrorists trying to get a message out to the masses who are slowly wasting away anyway? Nash has a vested interest in these attacks too as he lost a loved one in the attacks and needs to know the truth surrounding the cover up instead he ends up not knowing who to believe anymore. This film has won director Guy-Roger Duvert and visual effects artist Matt Hoffman several awards and rightly so as it is a compelling story and an interesting insight to present circumstances with stunning visuals especially for a lower budget independent. Any film featuring a futuristic, doomed and desolate city with acid rain, robots and flying vehicles as well as fantasy fuelled medieval sorcery, dragons and scantily clad warriors is guaranteed to be a success. The acting is great and along side Dopud it features Jane Badler (V TV series) looking slightly less reptilian but equally as sinister as the head of major corporation, Systernis. Maximillion Poullien (Delirium) is Morel, Nash’s hacker friend and fulfils the role of wise cracking brainiac well. It’s definitely one that requires your full attention as there is a lot going on but with the visuals and impressive soundtrack it is a fitting tribute to Sci-Fi movies of the 80’s. It’s a recommend from me anyway.